A beautiful smile is a pathway to opportunity, allow Dr. Lambetecchio show you the way. When you visit our Fresno dental office, your smile is our top priority. Our entire team is dedicated to providing you with the personalized, and gentle care, that you deserve. Part of our commitment to serving our patients includes providing information that helps them to make more informed decisions about their oral health needs. This website is a resource we hope you will find both useful and interesting. Dr. Lambetecchio received her credentials at the University of the Pacific School of Dentistry. 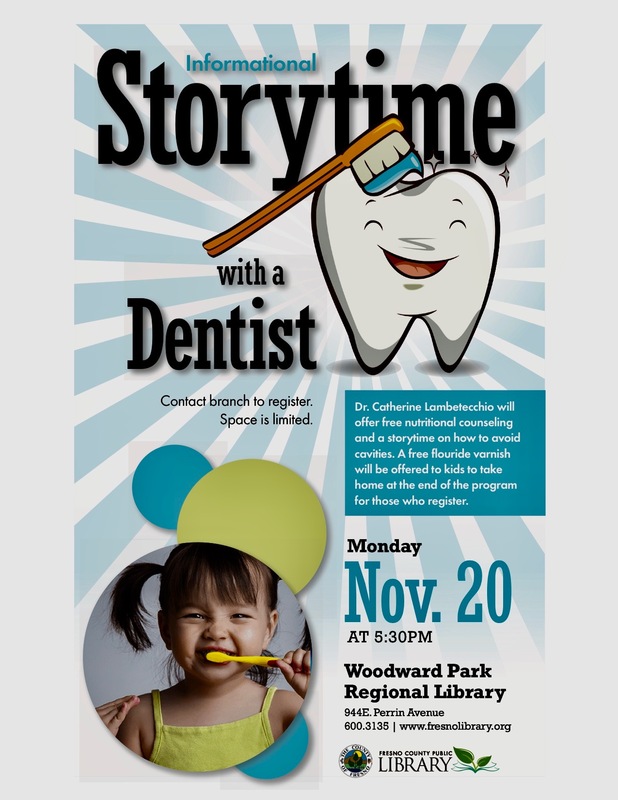 In 2000, she served as the first woman president of the Fresno-Madera Dental Society. She is also a member of the California Dental Association, the American Dental Association, is on the Board of the University of the Pacific School of Dentistry, and an Instructor for the Northern California Institute of Cosmetic Dentistry. In a profession dominated by men, Dr. Lambetecchio is uniquely endowed with gentleness appealing to children and adults. She offers composite (tooth colored) bonding versus amalgam or stainless steel crowns for decayed or cracked teeth. Dental sealants are a benefit in the absence of decay in the children's permanent molars. These sealants help protect the teeth from developing decay if proper dental habits are maintained. 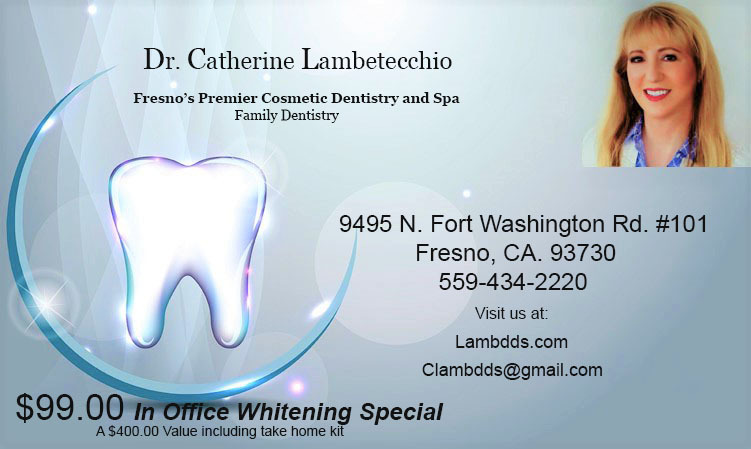 Dr. Lambetecchio was also the first dentist in the Fresno-Madera area to utilize the Waterlase Dental Laser. With the use of the Hydrokinetic process, the Waterlase can remove decay with no heat and no pain, thus eliminating the need for any anesthetic. This ultimately results in a more pleasant and incredible dental experience. If you are looking for whiter, younger-looking teeth, Dr. Lambetecchio also offers in-office "Laser Whitening" and "Take-Home Whitening Kits" for that bright smile that you are looking for. Click here for more information on this procedure. Dr. Lambetecchio wishes to deliver the very best smile that will enhance and change you life. Smile makeovers can enhance your job prospects, personal connections, and overall better health. Studies have shown a direct link to various health related issues due to poor oral hygiene. You may find these study examples within our website. With your personalized appointment reservation, we do not double book, therefore we ask that you call 48 hours in advance prior to changing your appointment time. You will be shown all the steps to enhance your dental appearance and overall health. We deeply care about you and want you to achieve the very best quality of life. Hosting special educational events for the public. Inquire if you are interested in having Dr. Lambetecchio speak at your event. Prom special! In just under a half an hour you can receive a $400 value for only $99.00 with a free dental exam. We now also offer whitening maintenance products.